Enjoy your beverage in this tankard! 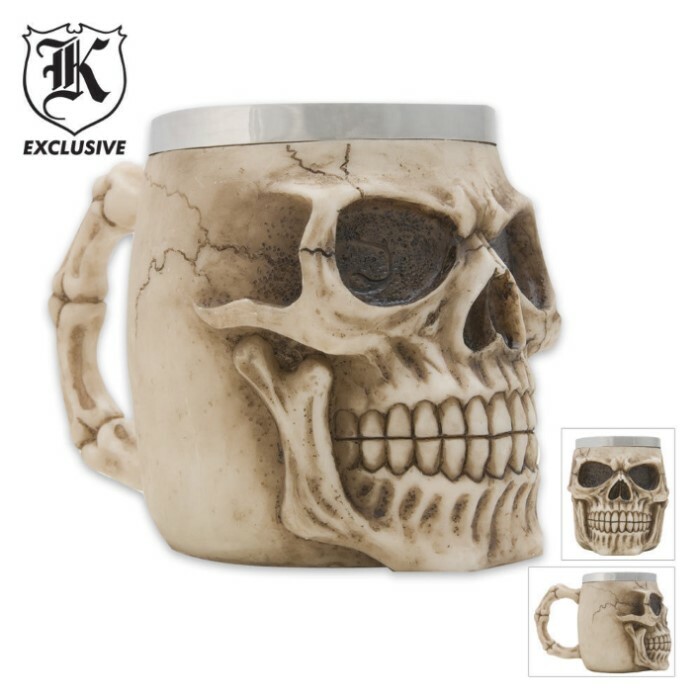 This cool drinking tankard features intricate design of skull head. The stainless steel inner liner helps keep your drink cool. Measures 4 1/4 in. tall x 7 in. wide and 3 1/4 in. in diameter. Made of cold cast resin. It looks great, well made and can hold 12oz. Cool gift, I love it! Defenitely could be a bit bigger, but it sure is a nice mug. 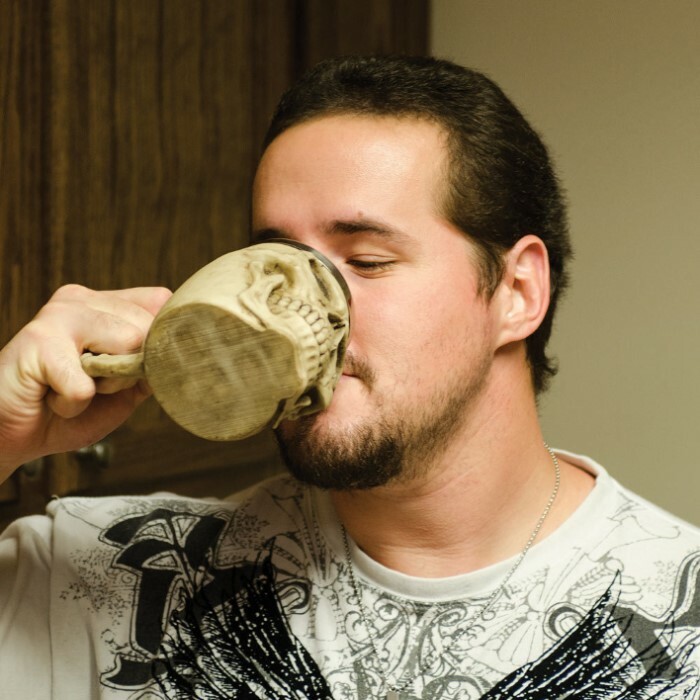 Easier to clean and less fragile than my ceramic skull mug. I may end up buying another one. It needs to be a bit bigger. I B so cool drinking my coffee in it every morning. This thing is awesome looks great and has that heavy feel to it. I even started drinking my beer out of it. I am going to buy a few more.